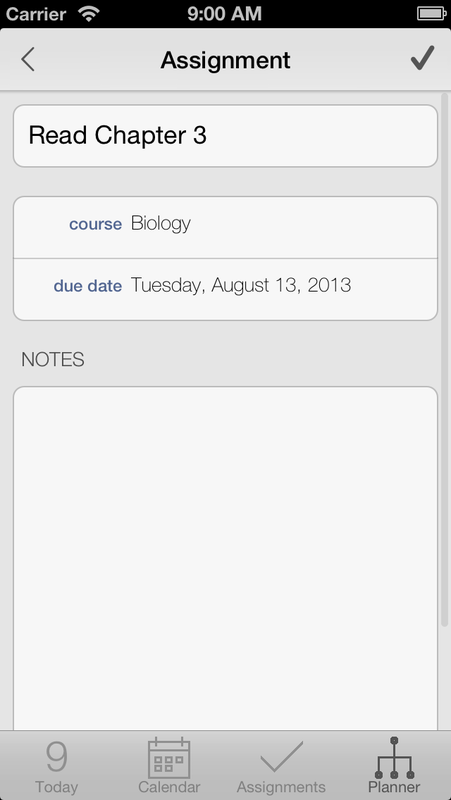 Shows all the scheduled items that you have for the current day. 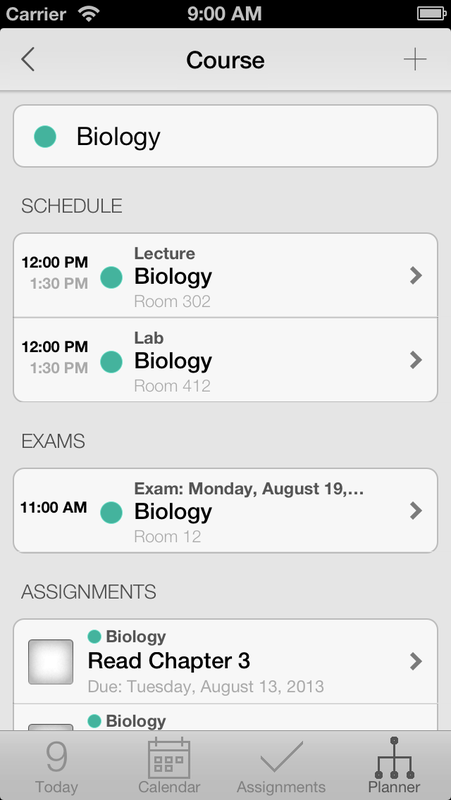 This smart view will update in real-time showing the scheduled classes and exams you have to attend. 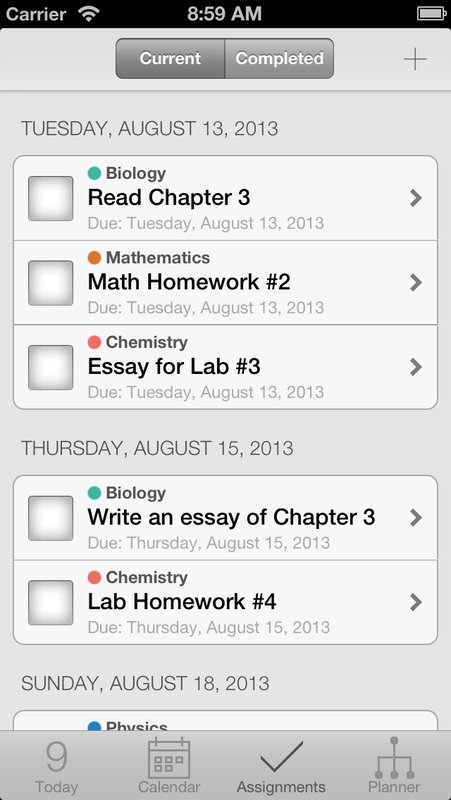 An overview of the due and next assignments you have to complete will also appear. 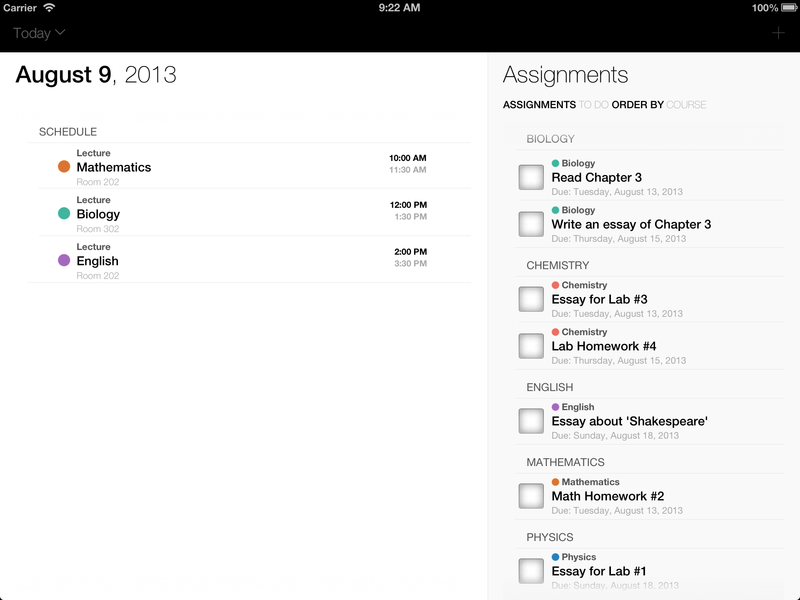 Managing your schedule starts with good planning. 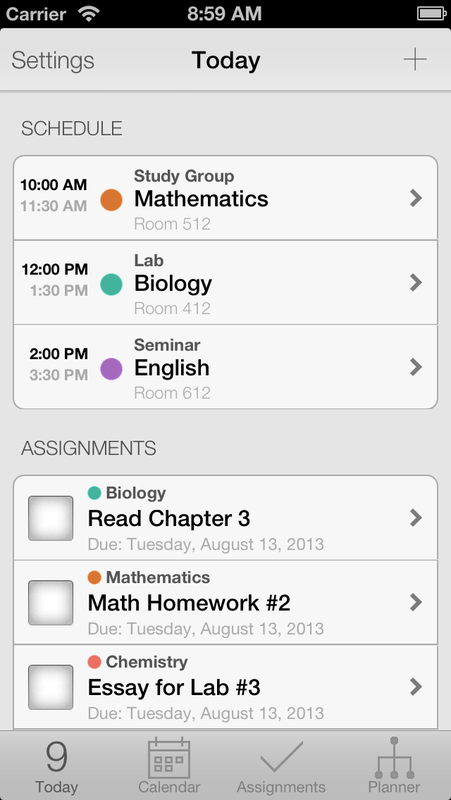 You will be able to plan and manage your semester, courses, lectures, exams and assignments. 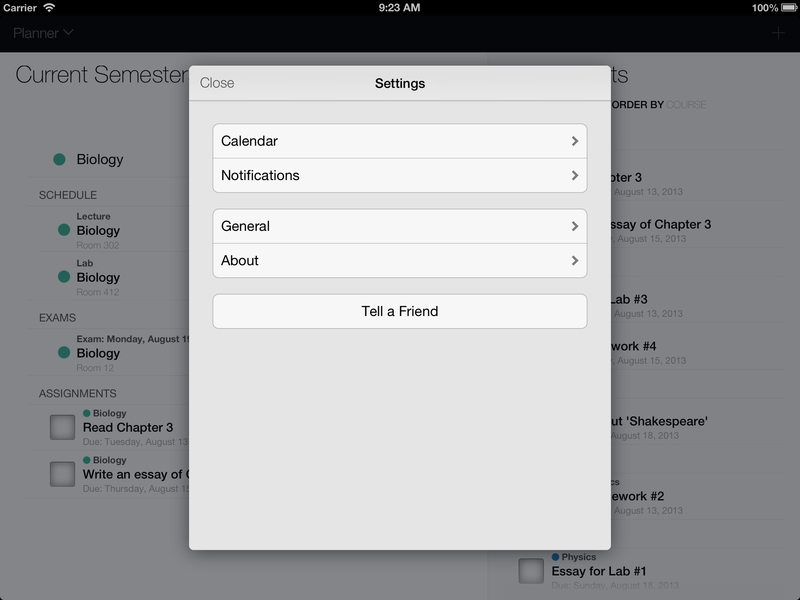 You also can add extra information like the location of the room of your exams, course details and teacher information. 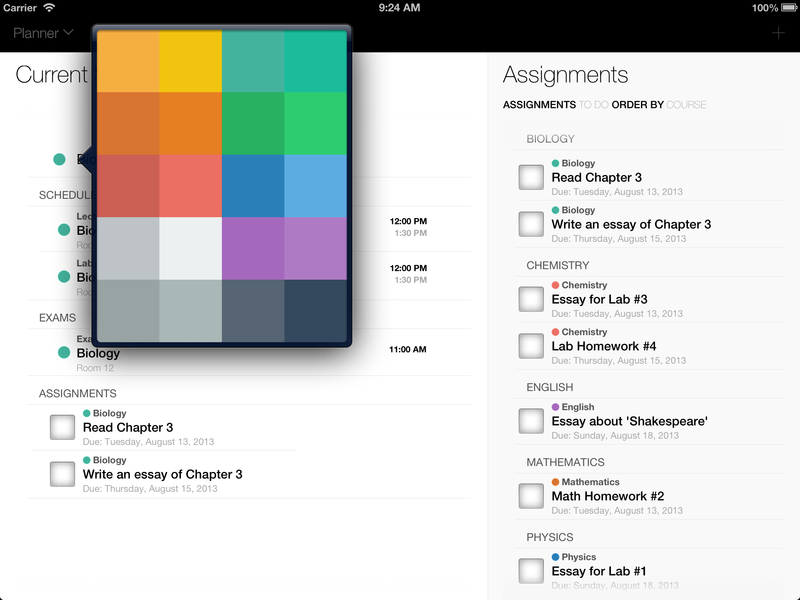 Be a grade A student! Visualize what you need to accomplish in the future. 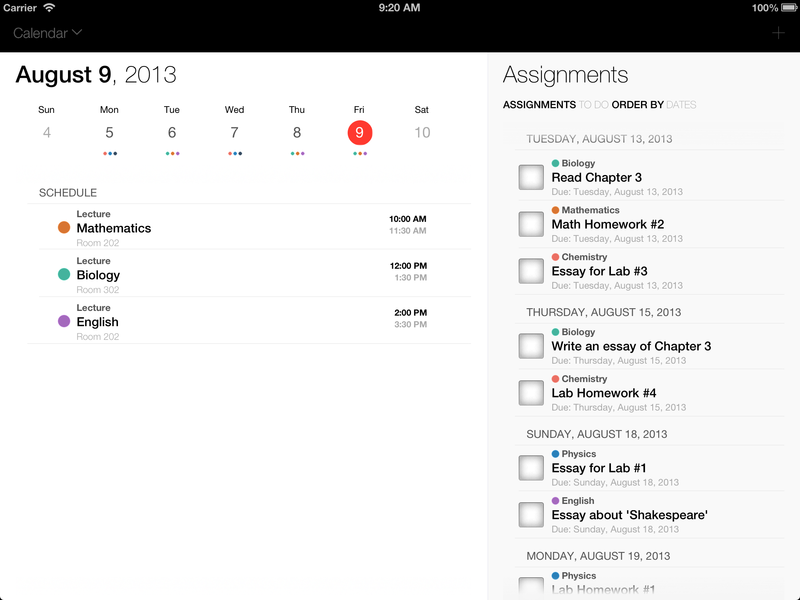 Prioritize your tasks and see what needs to get done in the next few days or upcoming weeks. 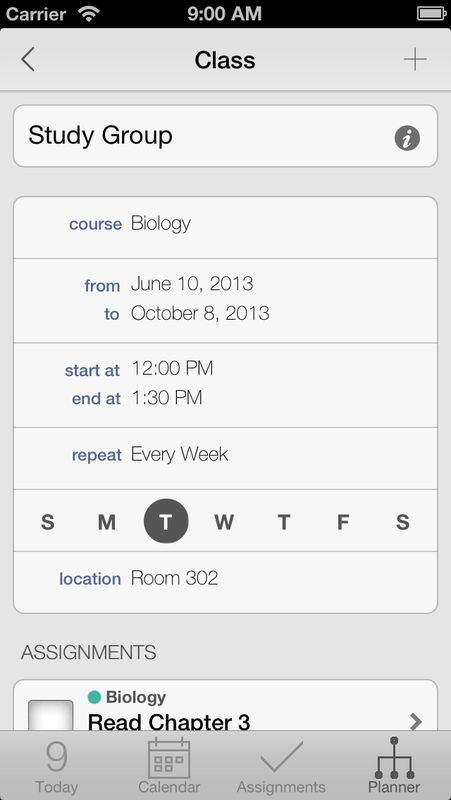 Check the Calendar to view the week and to see every event, lecture, meeting or exam you have schedule on which days. 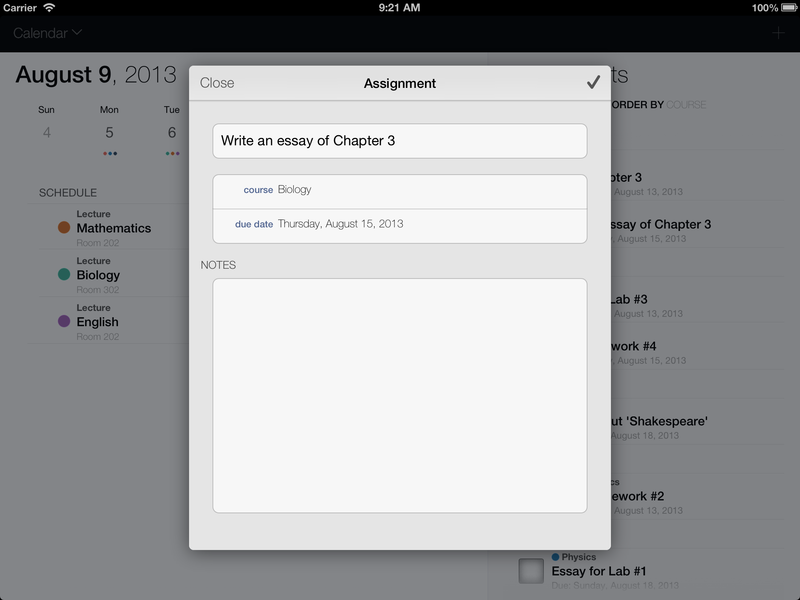 Remembering the due date of assignments is always a difficult thing to do. 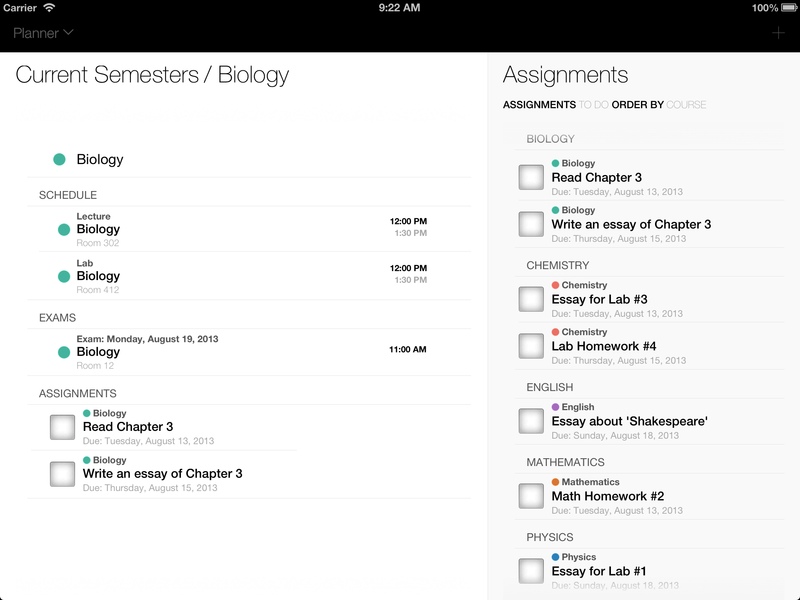 Stay ahead of your class! 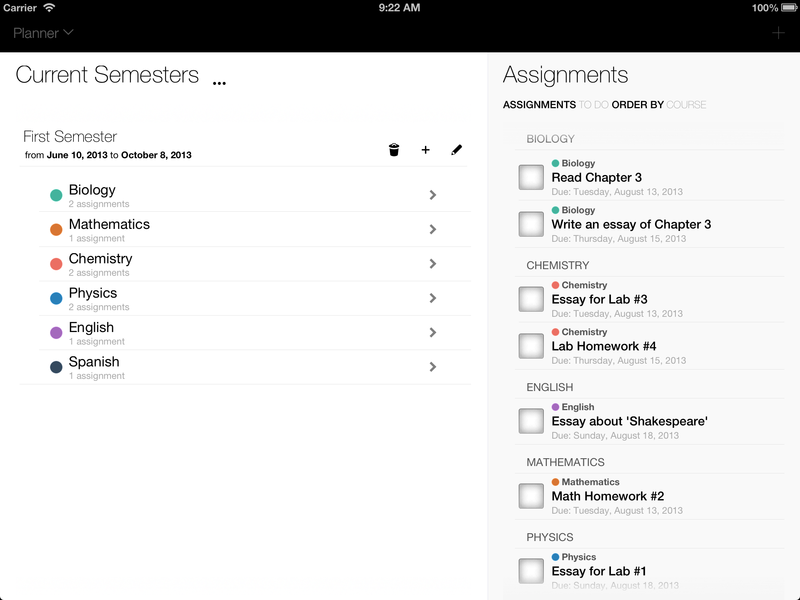 This app allows you to easily manage all your assignments and homework, so you can always check what you have to do and when you have to have it done by. 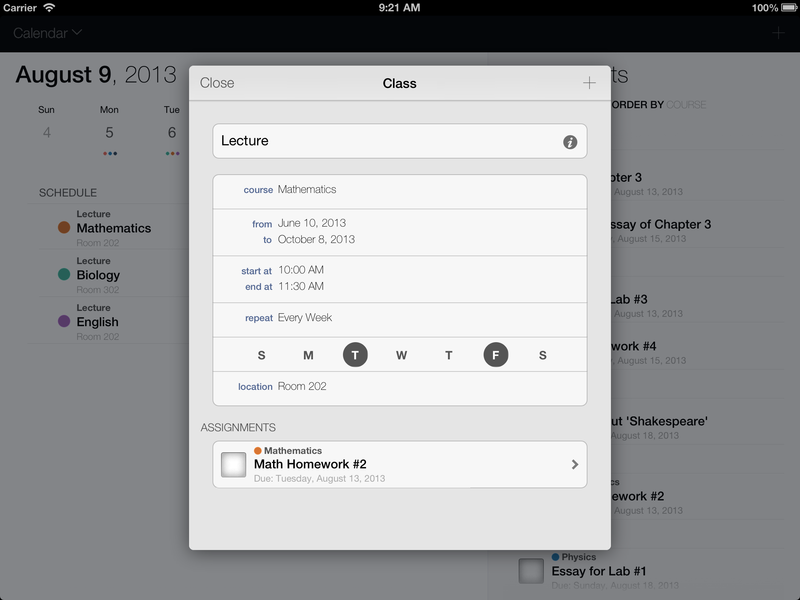 This app has integrated iCal Events from the Apple Calendar. 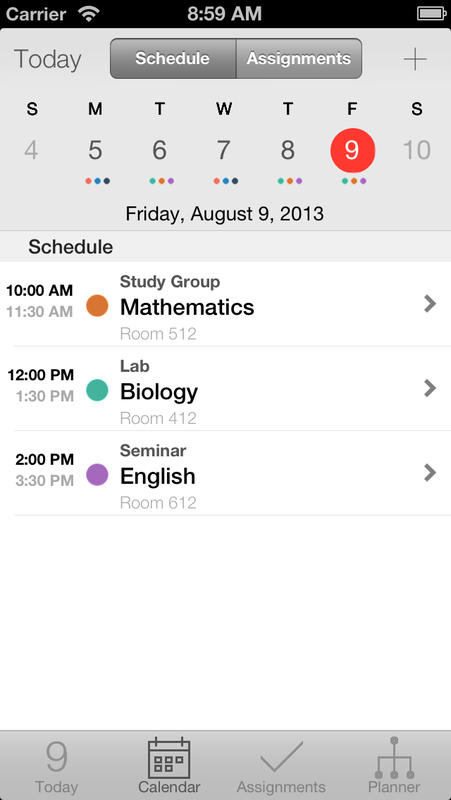 Allowing you to manage both student life and social life, so you can see where you can pencil some leisure time. 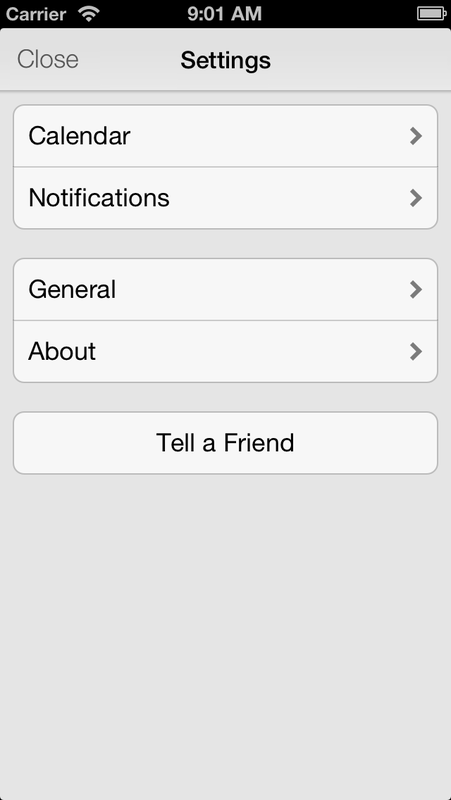 Personalize your app! 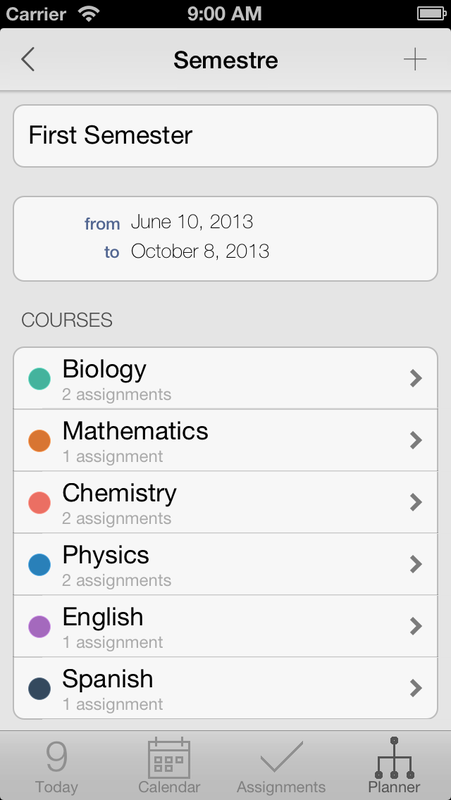 Set your calendar, notifications, grade system, report options and others items to customize the app to your needs.